For parents expecting a newborn, every parent will tell you their favorite baby products and must have items. It’s no secret. One of the most favorite baby products around are swaddle blankets. With swaddle blankets, your baby will be nice and snug. It may look like their uncomfortable, but it’s actually comforting to them because it reminds them of when they were closely wrapped up in their mama’s womb. Having your baby wrapped up in a swaddle blanket makes it so that your baby will cry less and sleep a little bit longer throughout the night as well. Baby swaddle blankets can be used from newborns until your baby is about 3 to 4 months old. 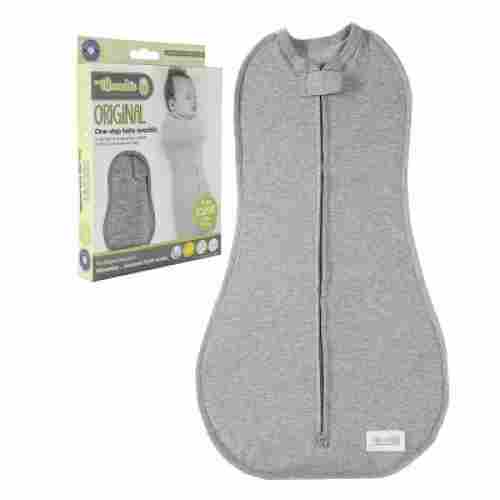 The main difference in benefit that sets this swaddler apart is the hands-free position. We know from scientific research that babies self soothe in the womb. It’s logical to continue allowing them to do so while they sleep. Love to Dream achieved this through smart design. Love to Dream designed the Swaddle Up to work with baby’s preferred sleep position. It provides the benefits of traditional swaddling while allowing babies to bring their hands to their face. The reason that the ability for baby to reach up is important is that it provides an opportunity to self soothe. In the past, this access was sacrificed so that baby wouldn’t startle themselves awake. With products like the Swaddle Up there’s an opportunity to provide baby the chance to soothe while staying as cozy as possible. One aspect of that intelligent, comfort-focused design is the zippers. Each Swaddle Up has two zippers, one for easy on/off access and the bottom for diapering. The zippers themselves have two advantages over velcro fasteners; less sound and ease of use. 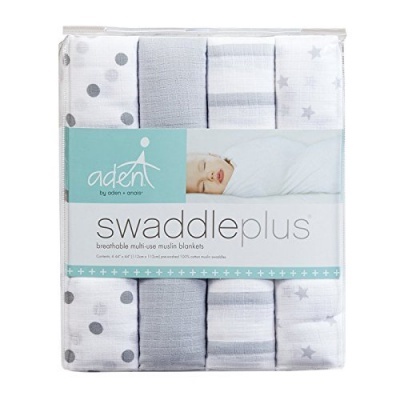 We appreciate that the Swaddle Up has features that are focused on keeping baby comfortable. One of those is the exterior seams. 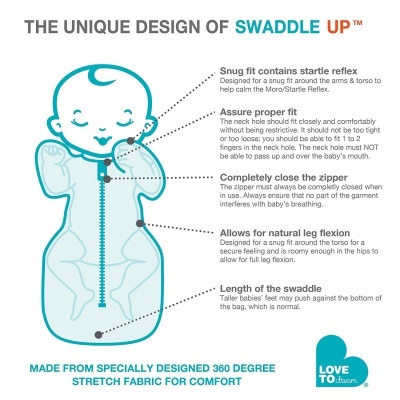 Since what sets it apart from other swaddlers is the ability for baby to soothe with their hands, it would make very little sense to have large seams at that location. Instead baby only touches single layer fabric and can soothe himself back to sleep. Since the fabric is single layer baby is less likely to become overheated. The focus on comfort means more sleep for everyone. There's no additional fabric to fall loose and risk suffocation. And the arms overhead sleeping position reduces the risk of babies rolling over. HALO’s SleepSack is the choice of hospitals and clearly a favorite of ours as well. Every aspect of it demonstrates the company's dedication to sleep safety. What makes it such a great swaddler? One benefit to choosing this swaddler is the additional leg room. Allowing babies to kick while being swaddled is the best way to ensure their hips are not harmed. SleepSack was recognized as “Hip Healthy” by the International Hip Dysplasia Institute. A few features but firstly because it has strong fasteners. Babies aren’t happy when they break out of a swaddle and those unhappy moments mean less sleep for parents. The key to fewer breakouts is an extra strong fastener. Another great feature of this swaddler is the fact that it can be used with 3 different swaddle positions. This means that it meets the needs of more babies and it also grows as they do. The SleepSack also zips at the bottom. That means baby can stay swaddled (and sleeping) during diaper changes. All these amazing features combined it’s easy to see why HALO has earned their place at hospitals. This swaddler is an upgrade on the traditional product. It’s the only one that offers 3 different styles of use. The reason that matters is because babies have preferences. Many parents are only shown one swaddle technique. When they get home from the hospital they may soon discover their child doesn’t respond to it anymore. That may be due to a variety of reasons but one is that another swaddle would comfort them better. 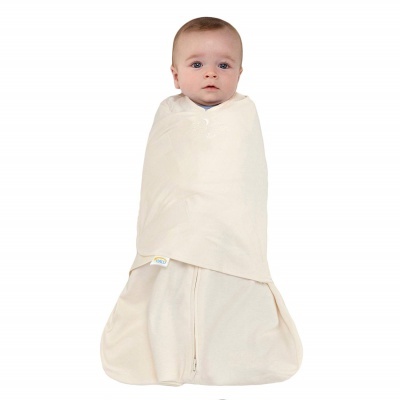 This swaddler meets more babies swaddling needs and can be used for longer than others due to that feature. The SleepSack is one of the safest Swaddlers on this entire list. While features like the zipped bottom is clearly for parents convenience, there are a couple focused solely on safety. The first of these is the embroidery on the front. In light thread, the words “Back is Best” serves as an important reminder of safe sleeping positions. While it may seem obvious to parents that baby should only sleep on their back, the newborn may be under the care of other adults at some point. Not unlike a safety label, it serves an important purpose. 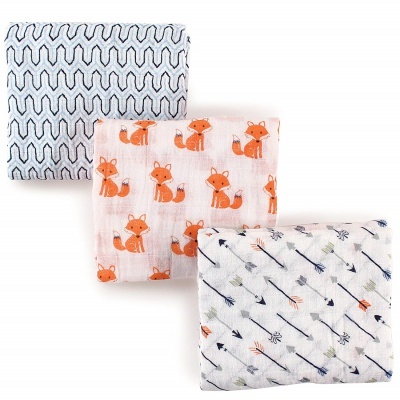 Designed to be cute and functional, these swaddle blankets are great for swaddling during nap and bedtime, but also work great as a nursing covering when on the go. Each of the oversized swaddle blankets measures in at 46 by 46 inches. This makes it easier to swaddle your little one, but also they can be used for nursing covers, blankets, or even covering a car seat or stroller. They are the perfect set of swaddle blankets for newborns and growing babies as their size allow you to use them over a longer period of time. They make a perfect gift for any expecting mommy. Swaddling your baby is a great way to comfort them and have them sleep longer and more soundly. 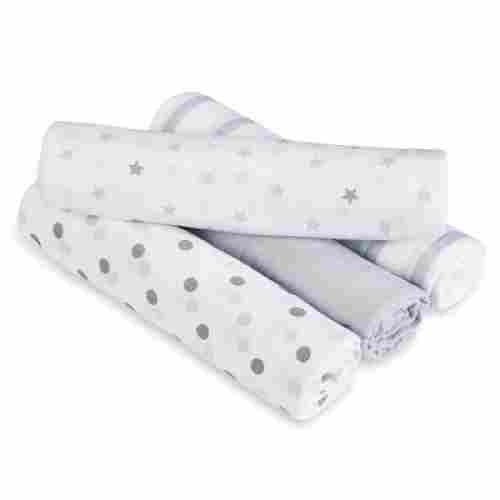 This is a set of three swaddle blankets that can be folded in a special way then wrapped around your baby to secure them tightly, but not too tight. They are super-soft and are made from a soft, muslin cotton fabric. These blankets have been made to be soft and gentle on baby’s skin allowing for more peaceful sleeping time. Babies who are swaddled using swaddle blankets and sleep on their backs have a much lower risk for SIDS. Properly swaddling a newborn and placing them face up means they are less likely to shift and fidget when they are sleeping, decreasing the chance they will end up on their tummies. Anything that comes in a set of three items for a baby is great. 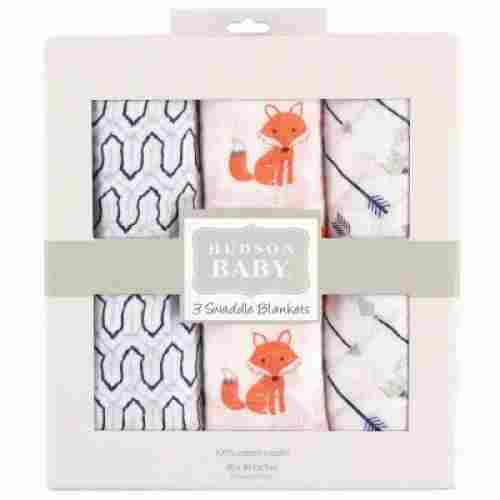 This set includes three swaddle blankets ensuring that you will have one each night at bedtime without having to make sure that you did laundry that day. The set comes with three blankets, giving you some freedom from laundry days. When you have a newborn, having a couple more of anything is a good idea. When laundry day comes, the blankets are machine-washable and dryer-friendly, making even laundry day less of a chore. 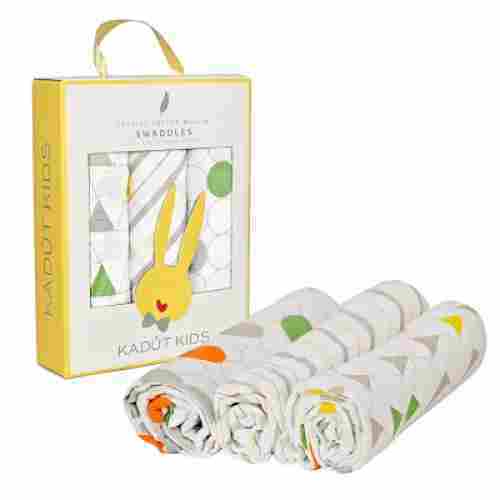 The set features three different swaddle blankets each with their own uniquely designed patterns and shapes. This is great for themed nurseries or being able to match their outfits. These premium swaddle blankets are a great baby shower gift for any expecting mom. Swaddling a baby allows the baby to sleep longer and more soundly. Even though a newborn sleeps around 16 hours a day, many of those hours are split in two- to three-hour increments. When a baby is swaddled studies have shown that babies are able to increase the amount of sound sleep that they are receiving. The more soundly the sleep, the happier they will be when they awake, plus this means fewer trips to the crib during the night. 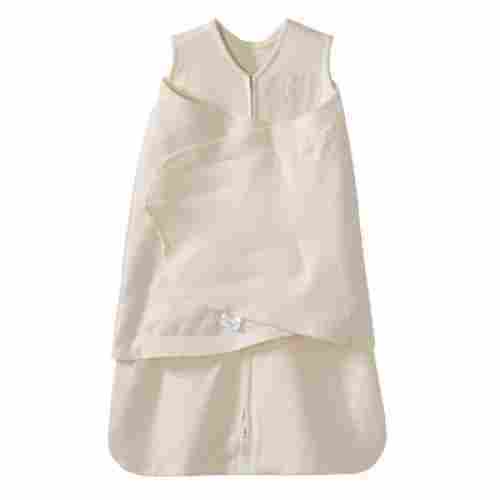 Wrap your little one up in a soft swaddle wrap that has been constructed from muslin cotton. The swaddle is super-soft to the touch and even gentler on the skin. This oversized swaddle blanket is very large in size. 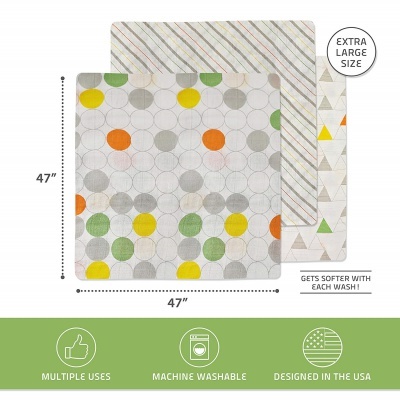 It measures 47 by 47 inches, giving you enough blanket to safely swaddles your little one or use as a cover. Finally, a swaddle designed for preemies! This 2-pack is perfect for the itty bitty babies in the world who need the most help in sleep transitioning after birth. Swaddling your newborn is the best way to recreate the proper womb-like conditions to help ease your baby gently into their new and frightening world. Fortunately, Summer Infant’s SwaddleMe Peapods are available to assist with your littlest one’s sleeping habits until they are big enough to use more traditional swaddling options. These simple sleeping pods are designed for maximum comfort and secure sleeping in the tiniest of babies. They are made of a soft cotton and spandex blend to help prevent triggering their startle reflex while still allowing your little one freedom of movement inside the pod. The two-way zipper makes dark room diaper changes a breeze. 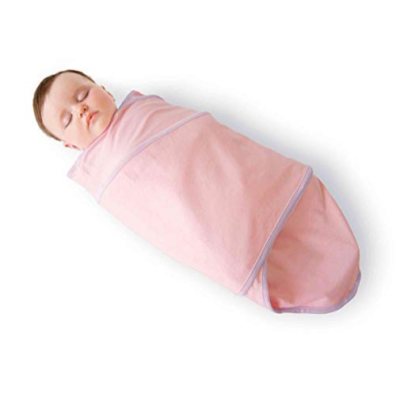 Unlike most other sleeping pods, these swaddles are suited for babies who weigh as little as 5 pounds and can stretch as they grow to take them through the first few months up to 12 pounds. Blanket swaddles are difficult to master and have the possibility of unraveling and creating unsafe sleeping conditions. Pod or sack-style swaddlers are the best choices for ease of use and less chance of baby breaking out. Most swaddlers on the market are designed to fit your average size newborn but tend to be too loose-fitting to provide adequate and secure comfort for smaller babies. 12 percent of all babies born in the U.S. are born prematurely and these tiny tots often need extra care and comfort due to their early exit from the womb. We strongly believe that companies focused on solving their customers problems are worth our loyalty. As part of their commitment to customer satisfaction, Miracle Blanket offers a guarantee on all their swaddlers. They know that parents may buy a product thinking it will fit their needs only to later discover it doesn’t. Since they want to encourage loyalty you can purchase and try knowing that you can easily return it within 30 days for a refund. The best benefit of using this product is its ease of use. There are no fasteners to get stuck on anything, no zippers to find late at night, it is just the blanket. We think that using products that are simple is a great way to eliminate some stress in the first weeks. Parents have enough to figure out without any added complexity in a swaddle. They’re also used throughout the night when every minute of sleep is precious. The Miracle Blanket was created to simplify swaddling. Since its creation in 2003, over 2 million babies have been swaddled using this amazing product. Why is it so popular with parents? It’s simple. Instead of worrying about fasteners it was created to be the exact shape necessary for swaddling. We also love that you can use this swaddler in three different positions. That makes it versatile enough to be THE only swaddler needed for all your swaddling days. The Miracle Swaddle tucks baby's arms in tight at their sides and allows them to sleep peacefully without a reflex jerk reaction waking them up in the night. Since they're swaddled so snugly, you can also add an extra blanket for warmth without risk of suffocation. As a parent we can quickly find ourselves overwhelmed with the amount of baby products we’re told we absolutely NEED. While some advances in technology and product design have truly made life easier, many are unnecessary. We know that many parents value simplicity and making informed purchases. This product is so versatile that even minimalist parents are fans. It has a longer lifespan than a traditional swaddler since it can be used as a blanket, nursing cover, burp cloth, and more. 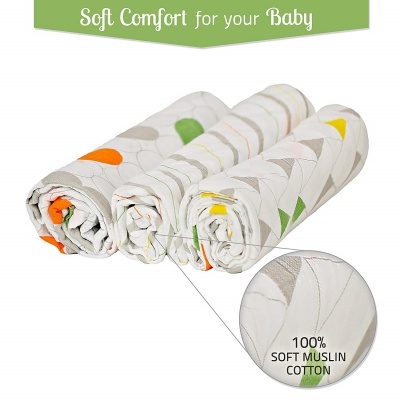 Muslin is a fantastic material for swaddling for its breathability and stretch. These are also one of the most versatile entries on the list because they can be used for a variety of other purposes. It also means that you can pull on the fabric to get a tight swaddle. 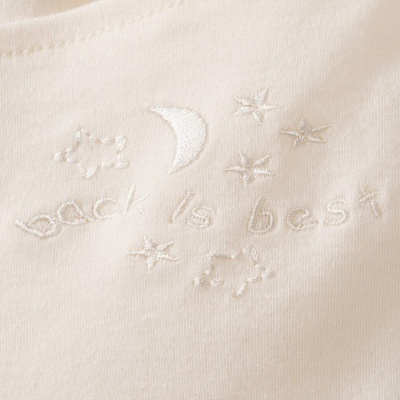 Both these features make muslin the fabric parents fall in love with at first touch. The top spot on our list goes to the product that has won awards and the love of parents for years. Aden + Anais has created baby products since 2006. The now brand iconic brand’s use of muslin as their main material came from necessity. Its founder had relocated from Australia to the United States and quickly discovered that finding a muslin blanket for swaddling her new baby was impossible. At the time the only materials Swaddlers were made of were heavy cotton, fleece, and flannel. Wanting to follow Australian tradition led to her discovery that muslin was truly the best material for swaddling and reaffirm her dedication. The biggest benefit of Aden + Anais swaddles over others is the material. Muslin is made entirely of cotton. What makes it noticeably different from other cotton is that it is very loosely woven together. It’s this weaving technique that keeps the material breathable and stretchy. Allowing more airflow means babies are less likely to become overheated and are therefore safer. As one of the original swaddlers, the Swaddle Me has continued to improve on the features that keep babies sleeping comfortably. 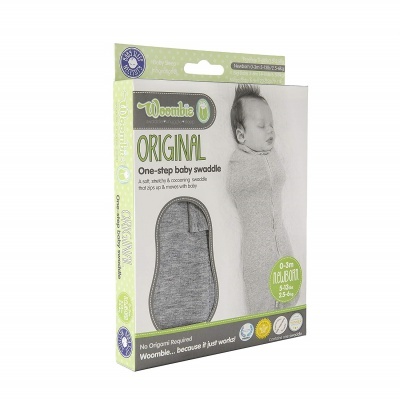 The ease of use for this made the structured swaddler a popular product and we can see why. 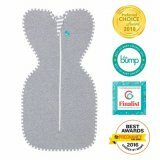 This is a great way for parents to enjoy the benefits of a comfortable baby without having to learn more complex techniques. What makes this swaddler quicker to use than a blanket are the fasteners. There are some products on the market that use similar hook and loop closures but the loop sections are small. That means you have to be more precise while using and also that your baby will outgrow the swaddler quickly. Swaddle Me has long areas of the loop material making it far easier to use on those dark nights. The fasteners are small but strong and capable of holding the swaddler in position throughout sleep. Swaddle Me’s creators use 100% cotton. As the original swaddler, Swaddle Me was designed to help parents swaddle babies at home. The product is built to make this process easier with simple fasteners and safe material. 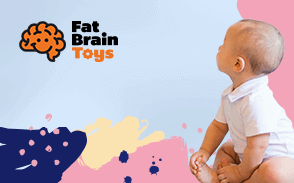 Using it made such a difference in sleep that the product quickly rose in popularity to become a top baby gift given. Parents know that a comfortable baby sleeps longer and that is great for everyone. Cotton is a great choice in fabric since it is as soft as a parent could ever want while also being breathable for safety. Breathable fabric ensures that baby doesn't overheat in the middle of the night. Once baby is finally asleep the goal is to keep them from waking early. That’s why we appreciate Carter’s put a zipper closure on this product. Both the quietness and ease of use mean that during the dark of night, parents have far less to fumble with. The quicker baby can be changed and laid back down the better everyone sleeps. The zipper on this makes it possible for that to happen at lightning speeds. The main function of this product is to keep the baby warm enough to rest. The blend of polyester and cotton meet that goal while also allowing baby to remain in the arms out a position that is suggested for infants. Since the baby is warm and comfortable, they sleep longer than they otherwise would. The well-known children’s clothing brand also has a wearable blanket to keep baby comfortable while they sleep. Experts agree that baby needs to be kept warm but not hot while they rest. While in the past blankets served this purpose, the experts agree that loose blankets are a suffocation risk for babies. Instead, this solution by Carter’s is a great way to keep baby cozy so everyone can get more rest. The Woombie Original Nursery Swaddling Blanket is designed to provide an easy to use swaddle for new parents while simulating the conditions of the womb. 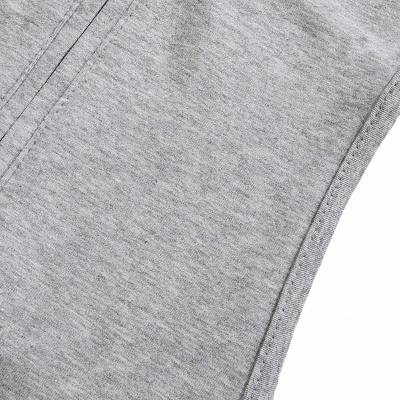 It is made of a soft, flexible cotton fabric that lightweight and breathable. Since it forms a cocoon around your little one there is no concern of unraveling like a blanket swaddle and requires only one step to place your baby in and zip up. This swaddle has an ergonomically shaped design to help gently ease your newborn from womb sleeping to crib sleeping. The stretchy cotton fabric hugs against your babies skin without being constricting to prevent the Moro Reflex and in turn promote good sleeping habits. 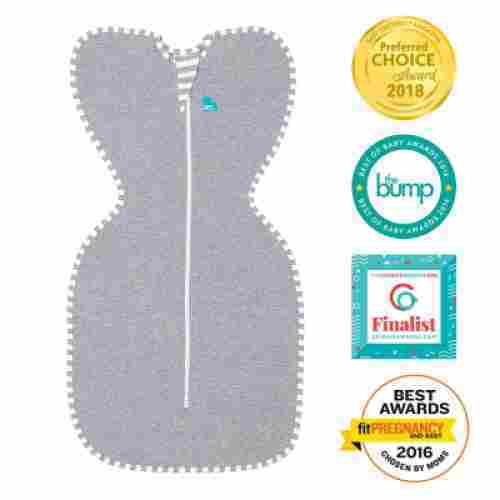 This swaddle provides your little one with freedom of movement inside the swaddle unlike blanket swaddling and easy access for late night diaper changes as well. Your infant’s hands are left free underneath the swaddle and it can also be utilized in car seats with their arms left out. The material is gentle to the touch and soft against baby’s skin. It has a stronger hold than velcro-based swaddlers to help contain wigglers and covers your little one up to their neck to prevent their arms from breaking out. The neckline of the Woombie is stretchy but resists stretching out so it will retain its shape through sleeping, diaper changes, and wash cycles. The waistline is intentionally narrow to gentle compress your little one’s tummy. This can aid in digestion and mimics a hug for reassurance. The arms-free interior design helps your little one develop self-soothing skills as they can touch and grasp their own hands. This overall sensation of well-being can aid in soothing babies who are afflicted with colic. We know that for parents especially new parents to be the last thing they need is any additional tasks on their nightly to do list. Parents have limited free time, and when they do have free time, they’re usually around the house doing their daily house chores. Most of the swaddle blankets on our list can be machine washed. We know for a fact that babies are messy. Between milk, drool, and diaper blowouts we know that being able to throw something quickly into a washer or dryer makes life a little bit easier for anyone. These blankets are meant to be used every night which means that they can get dirty, and quickly. Each of the items on our list do come with their own easy to clean instructions for those parents who are heavily using these items every day. When your baby reaches that 3 – 4-month milestone mark, parents will notice that there are some selections on our list that will help their baby further along and then need to calm the startle reflex isn’t exactly as high on the priority list as it would be if they were an newborn. When your child reaches this stage your baby’s primary need is to make sure that their hands are free so that they can start learning how to self-sooth and stay nice and warm. Developmentally wise, your baby is near that rolling over stage, so any kind of blanket swaddle with extra flaps of material would become extremely unsafe for them. Parents are reminded to look accordingly at baby swaddle blankets for what’s age appropriate for their baby. Most infants are out of blanket swaddles by the time the reach 4 months but for some that’s not quite the case. If you’re ever unsure on when you should stop swaddling your baby at night, you can also always ask your child’s doctor for a recommendation. The top priority of baby products is that they are safe for use. In America, the industry is regulated and every item is tested to ensure that it meets minimum standards. These standards were designed to mimic use in a variety of ways and place products in circumstances that may cause a negative action. These rigorous tests make it possible for parents to shop for items without having to research each item extensively. Each item on this list has met or exceeded those standards. They are safe to use by following the instructions and safe sleeping guidelines as determined by the American Academy of Pediatrics. While we took everything into consideration, we did look specifically closely at swaddle blankets that customers were overly satisfied with. The products on our list are nothing but the highest rated items that the market has to offer. We looked at everything from customer reviews, to how these blankets can help your baby sleep, how simple they are to care for, and why they are a must have baby item for every new parent to be. Swaddling blankets and receiving blankets are often talked about as if they are the same tool, but there are some significant differences. Receiving blankets are large enough to initially wrap your baby in but soon they'll outgrow this and need a full swaddling blanket. One important factor that we carefully looked into when it came to baby swaddle blankets is if they are in fact comfortable for babies to sleep in. Babies need to sleep comfortably and in order for them to fall asleep they need to feel secure and nice and warm. With swaddle blankets, they will keep your baby nice, safe, and snugged. For your baby’s first few months of life, research shows that one of the best ways to help your baby fall asleep is by swaddling them in a blanket like a swaddle blanket. These blankets are made of breathable material, so they are all 100% safe for your baby. We included on our top ten list above a wide selection of styles, shapes, and features that these blankets have to offer that will suit every parents needs and wants. q: How do I choose the best swaddle material? We suggest that you consider the average temperature of your home and also read up on the different fabrics on this list. q: Can these swaddlers be used as blankets? The ones without structure and closures can be. q: Do the fasteners on these lose strength? That depends on the fastener. The hook-and-loop ones on this list should be in the “attached” position when washing so that the process doesn’t weaken them. q: What is the best way to clean a swaddler? Follow the care instructions on the label. All swaddlers on this list can be cared for in a home laundry room. q: If I swaddle, won’t my baby be too warm? No. Babies need help maintaining their temperature and a lightweight fabric swaddle is a perfect way to do so safely. q: How do I know if my baby is too old for swaddling? The general guideline is that once baby can roll over they shouldn’t be swaddled traditionally. That’s a great time to transition to the sleeveless products in this list.